Residents have clocked in hundreds of travels days for the last six years, visiting a dozen or more cities across the nation. We love our neighborhood. Here are a few reasons why. 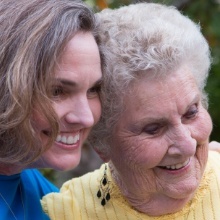 The Terraces of Phoenix in Phoenix, Arizona, is owned and managed by HumanGood, a nonprofit public benefit corporation serving older adults since 1949.